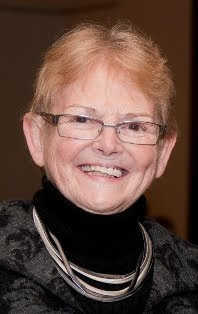 Sister Maureen Joyce, among other things the CEO of Catholic Charities of the Diocese of Albany, died on May 21. When I returned from an out-of-town trip last week, my wife told me she had some bad news. Some "very bad news," she said. And it was. We knew Sister Maureen was ill. We knew the prognosis was not good. But the loss is hardly the lesser, or the easier to accept. It was my good fortune to work with Sister Maureen in different capacities at Catholic Charities over the last two decades. Much has already been written about her devotion to the poor, the sick, the vulnerable, the hated, and anyone else who was suffering or otherwise needed help. And just as much has already been written about her leadership, skill, acumen, and strength in heading the 14 county, 100 site, 1,200 employee social service agency and, indeed, in everything she did. I won't try to add to that. The editorial in the Albany Times Union and the story by Paul Grondahl express much of that much better than I can in a post on this blog. Those are well worth reading, if only for the inspiration that was this woman's life and work, and which will forever be her legacy. Paul Grondahl, 'Driving Force' for Justice Mourned, May 22, 2010, available at http://www.timesunion.com/AspStories/story.asp?storyID=933629. The Times-Union expressed succinctly what all of those who knew this great woman have been thinking: "Compassion was Sister Joyce's career. Her death leaves a void in Albany and its surrounding cities, the suburbs and the rural environs beyond them -- everywhere, basically, that humanity confronts its vulnerabilities." Paul Grondahl summarized it this way: "Sister Maureen Joyce, who fed the hungry, found housing for the homeless and brought comfort to the most marginalized members of society...blended a social worker's heart with political acumen and administrative skills in heading Catholic Charities for the past 20 years." Indeed, Sister Maureen ran Catholic Charities with such competence and compassion that those of us who knew her and worked with her were sure she could run the country. And she would have done so with grace and wisdom and courage and commitment and dignity and caring, and she would have made us proud of her leadership and proud of how she brought out the best in us. If there is a God, Sister Maureen was surely one of his most magnificent creations. If that God is wise and merciful, then I simply can't understand how He could take her from us so soon. We need her here so much more than He must. If that God is just, than she is being rewarded with a palace and unlimited happiness in the afterlife. She undoubtedly, however, will ask to stay in another modest attic room (as she did in Albany), and she will be concerned about all of us helpless souls below whose lives were much richer and more hopeful while she was with us. Rest in peace Sister Maureen. We love you and miss you.